This section is for a few of the rare and interesting items we have available. Some items are automobile related and others are interesting objects, antiques and unique items we have found over the last 40+ years. We are making these items available for purchase by highest offer or by fixed price as noted. More items will be listed as time permits. If you have an interest in some of these, send your best offer and we might just take it. Click the pictures to expand them. 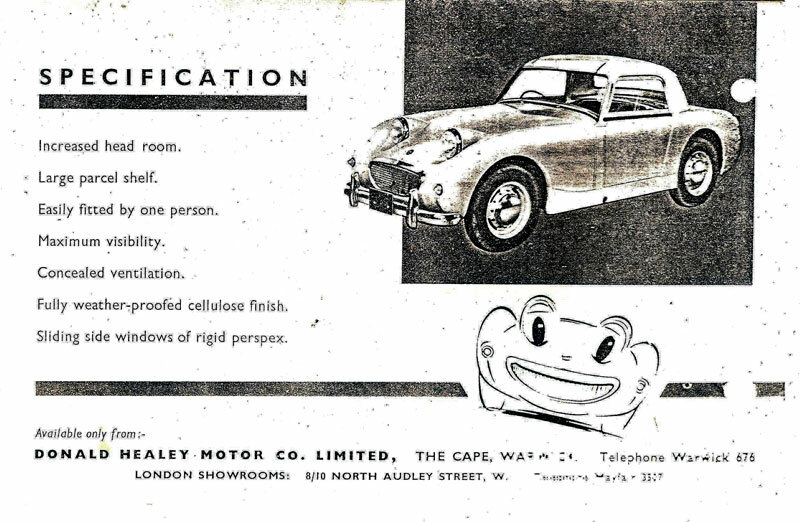 Here we offer an original and extremely scarce BMC Austin Healey Bugeye Sprite original factory hardtop . The hard top is around 55 years old and has a good original Triplex back glass and has two original chrome top clamps. 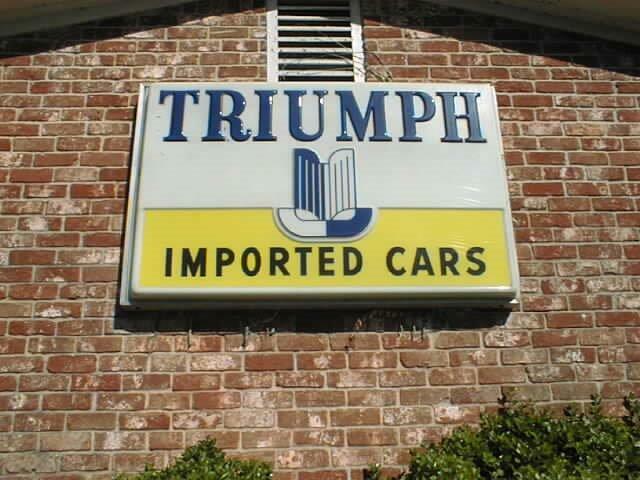 We have Austin Healey 3000 cylinder heads, engine blocks, exhaust and intake manifolds, a TR4 transmission, Jaguar MK 9 parts car. Nash Metropolitan convertible parts car. Jaguar Series I XJ6 parts car. The following rare and obsolete parts and objects are all for sale! We have a great many more. 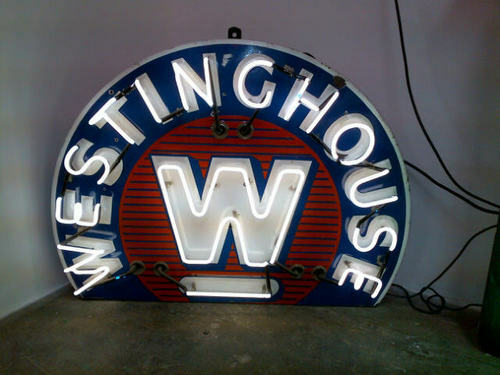 Late 1940's -1950's vintage Neon Westinghouse electric sign for sale. All the original neon filled glass tubes are intact and working. Intact original tubes is an amazing thing for a vintage neon sign in original unrestored condition that is very good. The sign is crated for shipping by truck freight and the last three photos are of the sign in the crate. (upsidedown) 48" x 46" 4500. An original Jaguar dealer clock from the early 1980's $275. An original perspex iluminated Morris (as in Morris Minor ) dealer sign. $675. A large framed artwork of a Mercedes Benz 300SL About 4 ft long and ready to hang. $125. A original Bosch illuminated sign. $125. A original Jaguar dealer pennant for the XJ-S model from the early 1980's $75. A large stained glass artwork of a leaping swordfish. It looks lovely in the sunlight. 48" x 36" $475. We have MGTD brake drums, driveshaft, Girling shocks, a solid complete MGTD frame, a right hand drive dashboard and a good transmission. We also have the original early style rear wings or fenders. All are original parts. We have a MGTF transmission. Here is a dusty new old stock steering column shifter cover for a 1960-1967 Jaguar Mark II automatic complete with wiring. These are usually cracked or broken. This new old stock Lucas Model L874 lamp was used on AJS, Triumph, BSA and Norton motorcycles. This BD 26762 Jaguar badge was used on all Jaguar cars built from about 1960-1979. Here is an original Girling # 4299GT rear shock pair for a Jaguar E-Type. For a 100 point restoration. WE have two. Here we have a new old stock Lucas battery cap with it's original hose for a real purist. Original MGTD horn button switch, used and works. A set of 8G2261 or VP Vandervell Cam bearings for a MGA Twin Cam, Extremely rare new old stock , one set only. We have a very limited stock of rare sets of NOS Vandervell engine bearings.